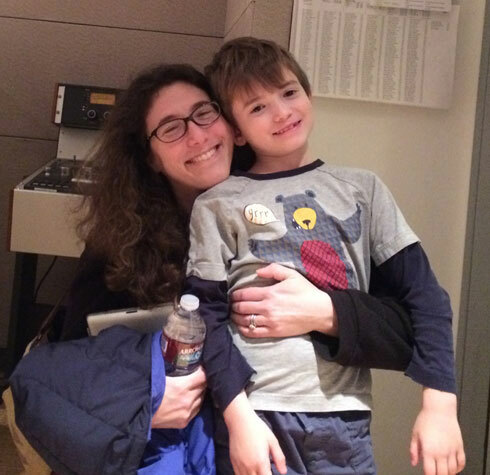 We tromped up to the studio, and she had him sit in the control room with a cell phone playing (I believe) a Star Wars video game, while she and I spent a solid hour (perhaps, actually, a bit more) talking about the effect of his kind on our kind. He was entranced by the phone and a model of the results of excellent parenting. To my mind, Senior's book is itself a model for a new kind of science that gets practiced on the page. She spent a lot of time gathering data, letting it swim around in her mind as she began to look for patterns. The page was her Petri dish, the book her experiment, and our reading experience the results. If you re engaging in social science, you needs must be social. Senior had all sorts of great stories to tell about her experience, particularly with the ECFE, which itself was a great place for her to do her studies. Her masterful charter arcs, and her engjoyable prose make this a really great reading experience no matter what your plans or experiences are vis a vis being a parent. This book is all joy and fun to read. I did try to talk with senior about how she put this all together while still giving readers a sense of the book without having her tell all the best stories. But we did get some great tales in. You can hear our discussion by following this link to the MP3 audio file. Here's the one-hundred ninety-seventh episode of my series of podcasts, which I'm calling Time to Read. I've been working for more of a live format lately, and to this end in this Time to Read "lightning round," I've included some of the banter beforehand, to give a feel for the atmosphere when we run these little mini-interviews. The bottom line: They're a fun way to finish off the gig. My hope is that in under four (or maybe twice as many!) minutes I can offer readers a concise review and an opportunity to hear the author read from or speak about the work. I'm hoping to offer a new one every week. 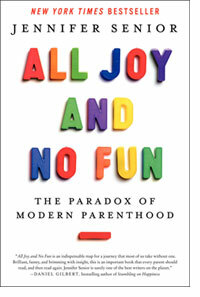 Here's a link to the MP3 audio file of Time to Read, Episode 197: Jennifer Senior, 'All Joy and No Fun: The Paradox of Modern Parenthood'.